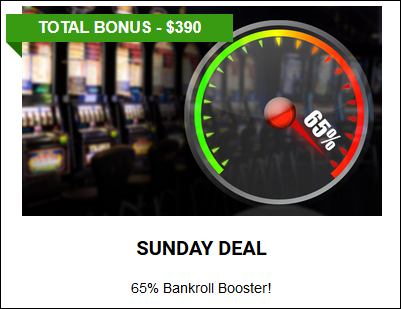 65% Bankroll Boost Every Sunday - New Players Collect 45 Free Spins At Mega 7's Online Casino! Enjoy a 65% match on your first four (4) deposits on a Sunday. This offer is available to majority slot players and will allow you to play on slots. All new Players Collect 45 Free Spins on the new video Slot 'Kung Fu Rooster'!